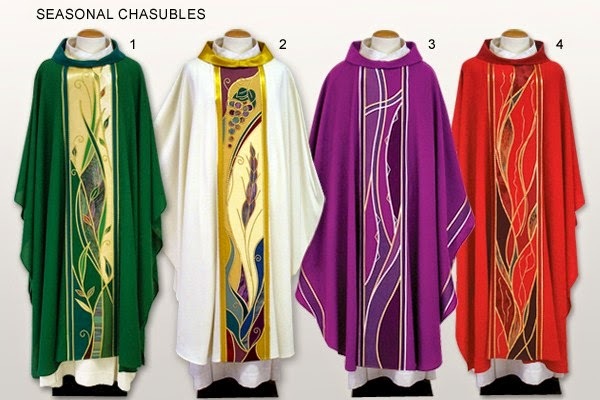 New Liturgical Movement: “Backwards vs. Forwards”—What Does It Mean? When I returned to America in 2006 after living abroad for almost eight years, the transition was initially a challenging one. Although the Lord fairly soon led me to Wyoming Catholic College (which had just been founded), for a certain time it wasn’t at all clear what my next step should be. At this juncture my family and I spent a little time visiting friends in California and visiting some of the Missions along the way. At one of these missions, I picked up a holy card of Bd. 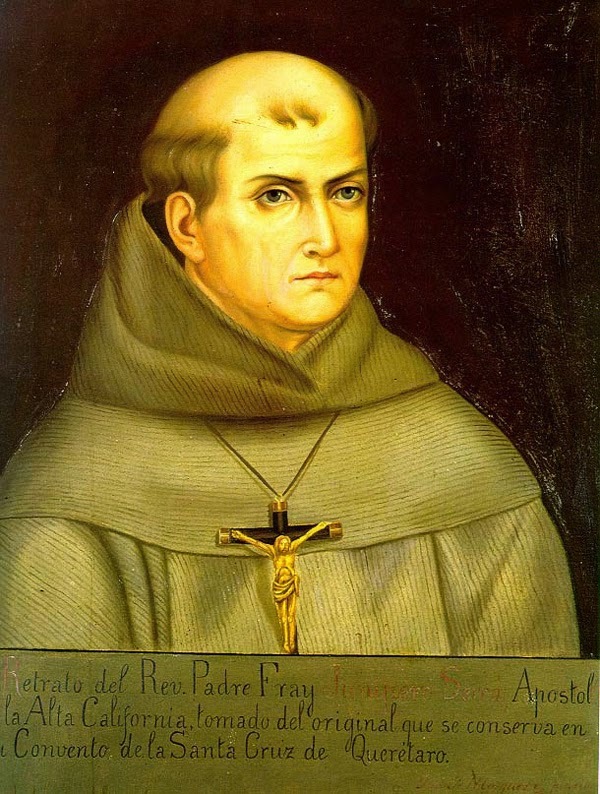 Junipero Serra that carried in bold letters the great missionary’s motto: “Always forward, never look back.” This motto was strangely comforting to me at the time and helped me look forward to the future with trust in divine Providence. On March 3rd, Pope Francis wrote a short letter to the Theological Faculty at the Catholic University of Argentina, an institution with which he is no doubt most familiar. Pope Francis is not a speculatively-orientated man. He sees theology in practical terms. Vatican II, he tells the Argentine Faculty, is a “re-reading of the Gospel from the perspective of contemporary culture.” He does not say that it is a “re-reading” of contemporary culture from the perspective of the Gospel. The Council produced an “irreversible movement of renewal which comes from the Gospel. And now we must go forward.” What, one wonders, does “forward” imply? The notion of “progress” for the sake of “progress” avoids the question of “progress to what?” or “forward to where?” To go “forward”, we must first look backward to the Gospel. Chesterton said progress can only be made by looking backwards. The future is blank, but history contains real people, real choices for good or bad. Indeed, it is the Pope’s frequent endorsement of creativity, innovation, and spontaneity, along with “making a mess,” that might well cause any lover of tradition or proponent of the new liturgical movement to wince with embarrassment and regret. Unlike Pope Benedict, Pope Francis does not seem to have progressed in his way of thinking beyond the extremely limited vision of the movers and shakers of the Second Vatican Council period. Metaphysically, it is impossible to “go backwards.” The past is unchangeable. It is not really possible to “go forward,” either, since the future is in God’s hands alone. All that we have is the present, the “now,” and we must use this now wisely for the glory of God and the sanctification of our souls. The only standard for us is not a distant past or a dreamy future, but what is right, good, appropriate, beautiful, here and now. And this is something that cannot be determined by any age or chronology, any ideology or -ism; it must be determined by sound principles that we receive from the Church and from her Tradition, which is living and active, like the Word of God of which it forms a part (cf. Dei Verbum 10). In our liturgical and sacramental worship, Christ is signified as having come in the past, as being present to us now, and as yet to come in glory. He is Lord of all time, the Alpha and the Omega. (1) Our Eucharistic worship signifies Christ as a past reality, since He has already come into the world as the Word-made-flesh and has accomplished plentiful redemption. This may be called the principle of tradition, or the handing down of that which is already given: hoc facite in meam commemorationem. (3) The Mass signifies Christ as one who, having come, and being in our midst, is nevertheless awaited in His glorious coming to judge the living and the dead and to bring to completion the whole of history and the entire cosmos, from prime matter to the loftiest seraphim. The very fact that we receive Him as waybread, as our strength and stay under the appearances of bread and wine, tells us we are waiting and longing for an indissoluble communion, the face to face vision of God. 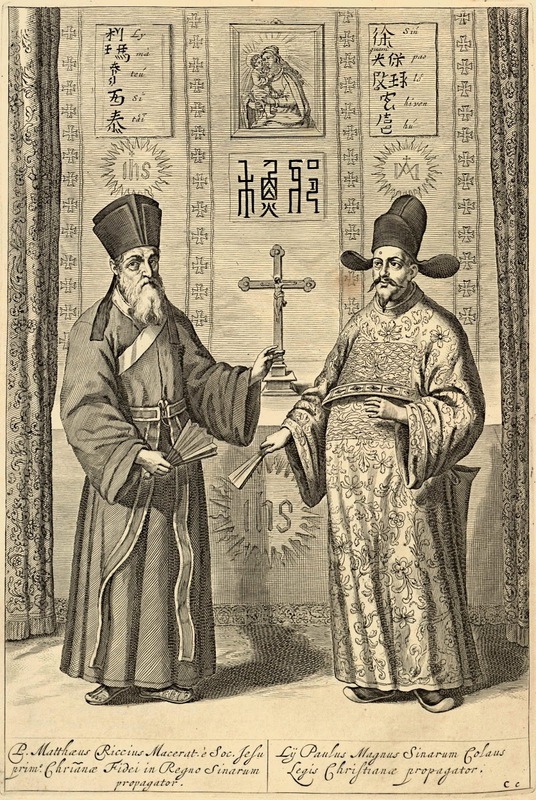 This tension towards the future may be called the principle of transcendence, by which the liturgy reminds us that we are destined for an act of worship that is not inherited from the past or re-lived in present symbols but given immediately and eternally by the Lord Himself, when He manifests His glory to our purified gaze. The past component makes us adhere to hallowed forms of commemoration, so that we would sooner die than have our inheritance violently taken from us, abused, reduced, or modified past recognition. The present component makes us attentive to the needs of the flock around us—including, of course, the need to be thoroughly connected to tradition and thus to be catholic. The future perfection, which shows up the relativity of our earthly endeavors, makes us absolutists about heavenly glory alone. 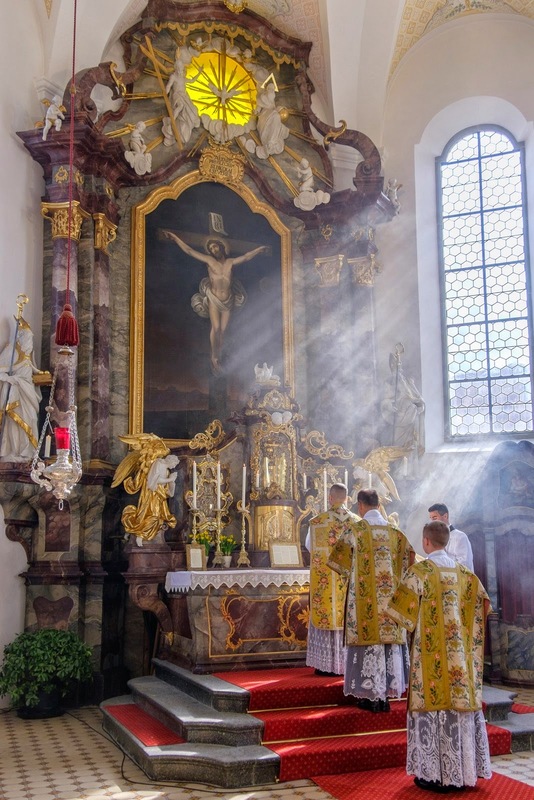 We would not, therefore, try to argue that this or that particular liturgical tradition is indispensable for the Christian life, although it is true that some authentically-lived tradition is indispensable. All three of these principles imply missionary outreach, although they are not ordered to outreach as their end; rather, evangelization flows from them when they are rightly believed and practiced. If we know and love tradition, it is an immense gift we will want to share. If we know and love people, we will share this gift with them in a way that draws upon their identity and also challenges it to conversion. And if we know and love God, we will do all of this for His glory. The way of the future, ad majorem Dei gloriam.